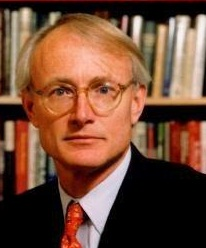 Back in the summer of 2011, we did a couple of blogs on the work of Michael Porter – one of the most serious-minded academic thinkers in the realm of corporate strategy. 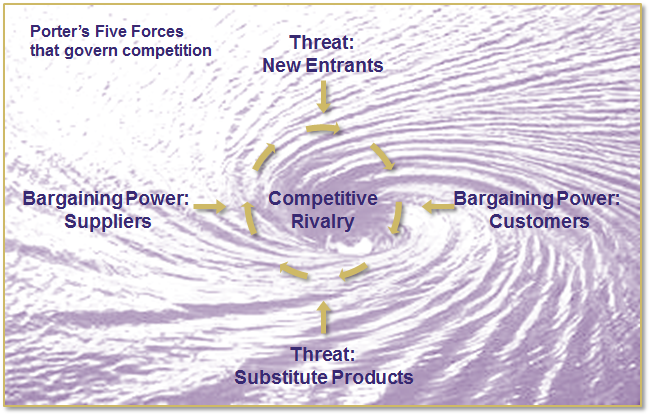 In the first, ‘On Competition: Five Forces’, we surveyed his five forces model from a high vantage point and also introduced his three sources of competitive advantage. We then, in ‘On Competition: The Far End of the Value Chain’ questioned whether there are not, in fact other sources of competitive advantage. I think it’s time to take a closer look at these five forces, and maybe question the adequacy of that model too. So what are Porter’s Five Forces? If your business is dependent upon the supply of materials, assets, or people, then your suppliers have power over your business – which is increased as the market dominance of your supplier increases. You need a strategy to keep your suppliers’ interests aligned with yours, by being as important to them as they are to you. Dependence on a monopoly or near monopoly supplier is a route to doom. Consider creating alternative supply sources, alternative inputs, or vertical integration to control your own supply source. It would be great to be a monopoly supplier of a commodity product. Few are although, if you can differentiate your product sufficiently – for example, as Apple did with the launches of the iPhone and iPad – then you can simulate that position for a while. Ultimately, the customer is king or queen: without them, you are doomed. 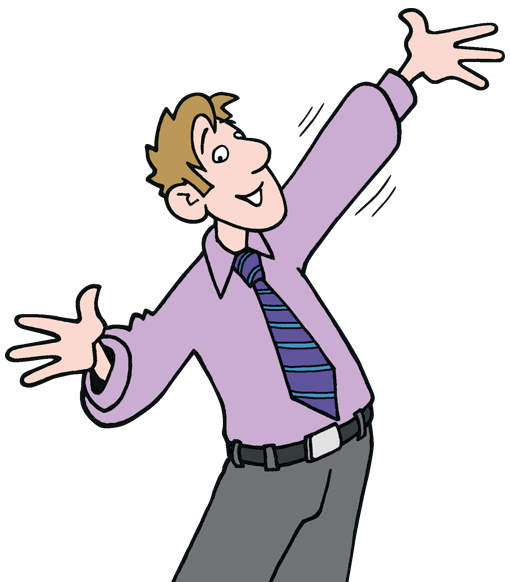 Existing players in your market will be jostling for customers’ attention and preferential deals for suppliers. For most people, this is where their conception of competition ends. Porter knew differently . . . When Sea and Atari were slugging it out for dominance of the games console market, who would have predicted the arrival of the Sony Playstation? Answer: anyone familiar with this model. They would not necessarily have known it would be Sony or that it would be successful, but the threat was there… As it was some years later, when, Atari gone, Microsoft entered the market to challenge Sega and Sony, with the X-Box. Somewhere in my stationery cupboard, I have a bottle of Tipp-Ex (probably set solid) and a pack of acetate sheets. Is there a better supplier of correction fluid or a superior priced transparent paper? Who knows? Who cares? I don’t use either: I print drafts from my PC and re-print when I’ve made corrections, and I project straight from my PC when I need slides. I doubt many of my clients retain a working overhead projector (OHP). There you have it in a nutshell: five competitive forces that allow a business to evaluate its competitive strategy. 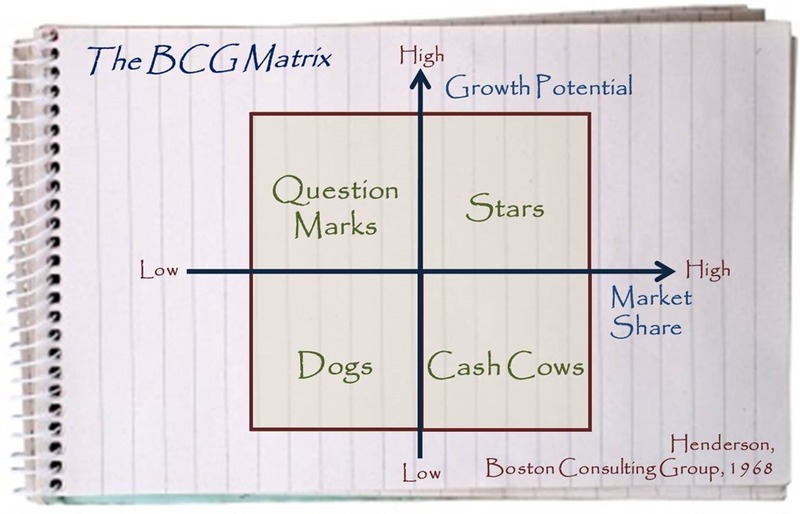 It is one of the most successful and widely used management models. The last fifteen years have emphasised the rightful role of regulation as a competitive force or, rather, sometimes the failure of regulation to curb competitive behaviours (Enron, anybody?) I think we would now have to add regulatory forces to any complete analysis. But I also have to ask, what about internal forces. How do the social, cultural, political, operational, technological… forces within the business affect strategy. To me, this is a big gap. If only someone could plug it . . . But you’ll have to wait until next week’s Pocketblog for that. At a recent seminar, I challenged participants to identify any additional business strategy that can deliver competitive advantage. After all, in my August blog, I did assert that this model is showing its age. Could a business outcompete rivals with a higher cost product, that does pretty much the same as its competing products, and has no niche focus? The answer takes us into a fascinating debating point, by way of another powerful model with which Porter is closely associated. Porter’s 1985 book ‘Competitive Advantage’ gives you a pretty thorough précis of his earlier ‘Competitive Strategy’ in Chapter 1 – focusing on the three strategies – and then takes off. 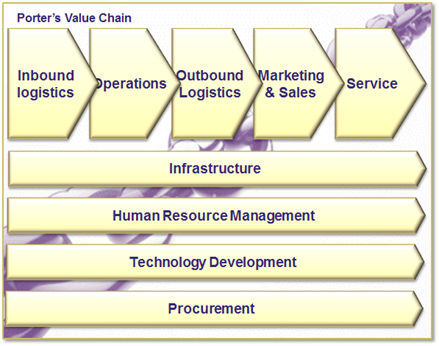 Competitive advantage, Porter says, comes from understanding the ‘value chain’. 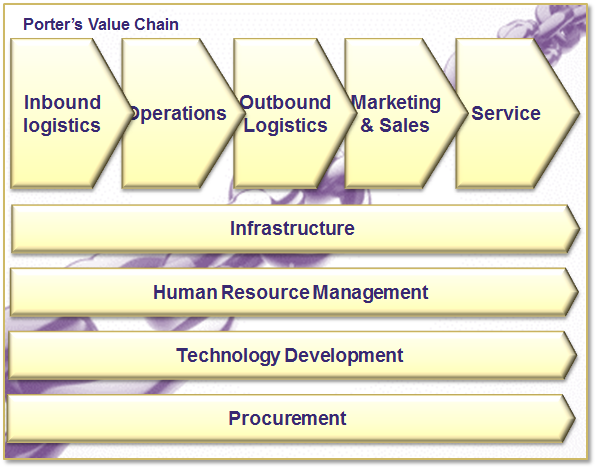 This is the full set of activities that company undertakes, to create value. 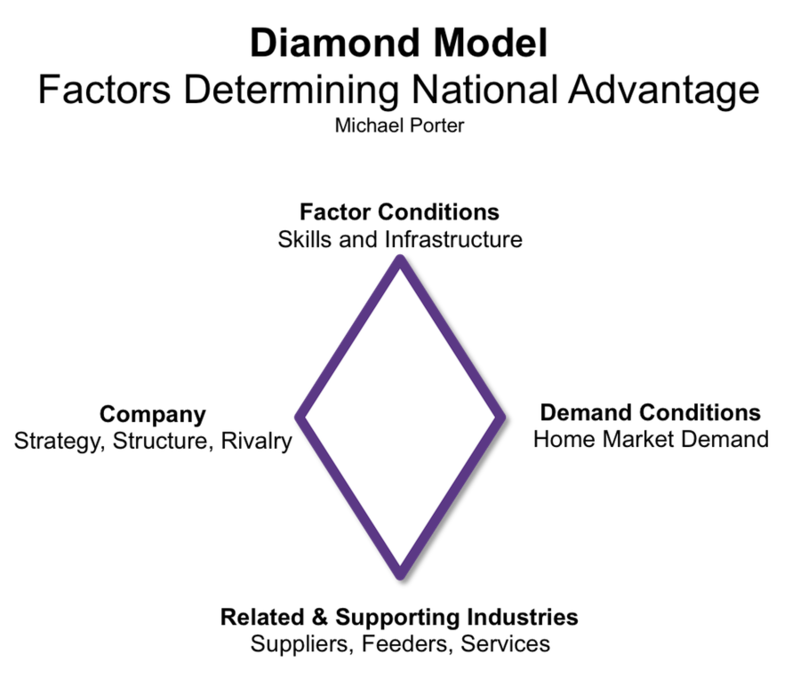 It is illustrated below. Competitive advantage is about understanding the Five Forces model and the sources of cost advantage and product differentiation in terms of these nine activities. 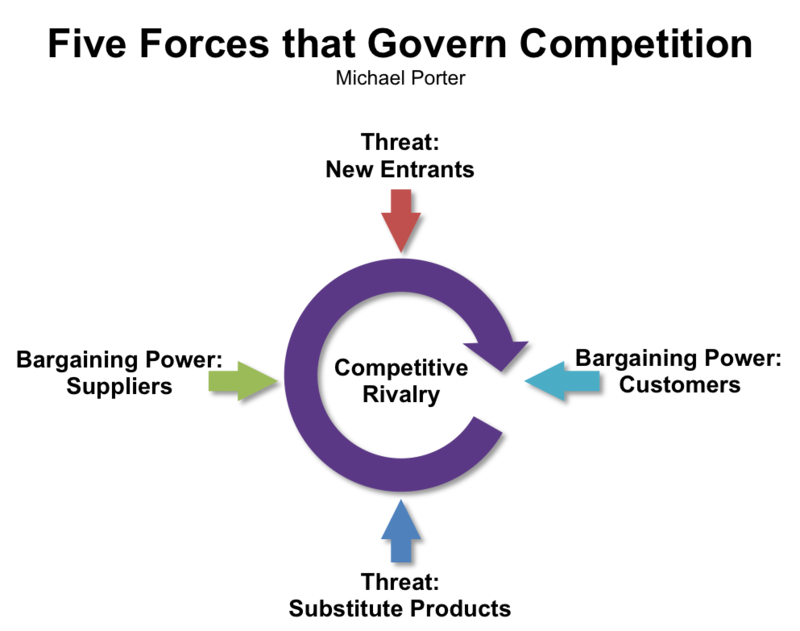 The five primary activities form a chain of value-adding processes, supported by the four secondary processes that provide the necessary resources to make the value chain work. 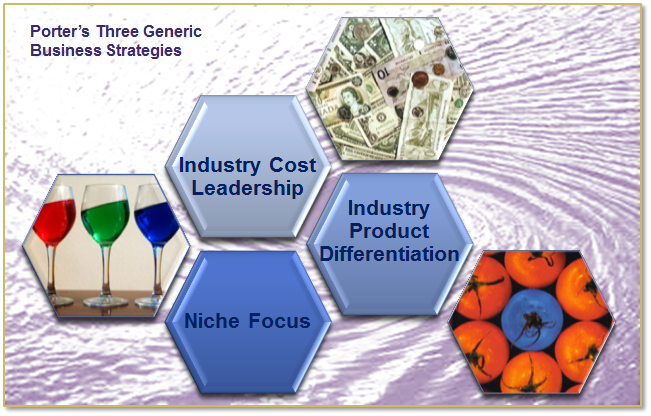 Each can be a source of competitive advantage, most obviously through cost differentiation. I want to focus on Marketing & Sales, and Service. My argument is that a company can differentiate its product – to give it competitive advantage, through these two, without focusing on a niche, delivering a substantively different product, and with no cost leadership. If you can create a compelling narrative about your product, people will want it, to associate themselves with the myth you have created around your brand. My daughter loves ‘Hello Kitty’ – I don’t know why. As far as I can tell, the Hello Kitty brand started life as nothing more than a motif, appearing on a range of products. Now, not just children, but adults too, want goods just because they have the face of a little white cat (with no mouth) on them. The products are no better, no different (unless you include the motif) and certainly no different functionally, and definitely no cheaper. There is little niche focus beyond, as far as I can tell, females. Hello Kitty thrives in most cultures and at many age groups from 2 to forty, at least. I think the source of Sanrio’s competitive advantage is nothing more than marketing. Would I fall for such a ruse? So how does marketing create competitive advantage? It seems implausible that three sources of competitive advantage could be all there is. Yet I have come to the conclusion that I haven’t yet found an exception. Despite arguing that marketing is that exception, let me explain. What does marketing do that creates such loyal followings for Hello Kitty and iPhone (and, indeed, for both – I saw someone with a Hello Kitty iPhone cover, which was the nudge for writing this blog)? I think the great marketing that Sanrio and Apple create, builds a loyal following for their products. Many people will identify themselves as iPhone users – in a way that others would not identify themselves as Wildfire or Galaxy users. What great companies can do is use marketing and service to create a ‘tribe’ of people who are loyal to their brand – or to a part of their brand. What this relatively new form of marketing is doing is building a niche focus that is defined by the products and services of the company. So, Porter was right after all. Now we need to look at this concept of ‘tribes’. More next week. On a high shelf in my study are the books I rarely refer to. Some turned out to be a disappointment after I bought them, but some, however, are old friends. It’s just that I no longer need to refer to them much. Years ago, when I was asked to develop a seminar on business strategy, three of them were my constant companion as as I thought through and planned the session. And the first model I thought of back then features at the start of Chapter 1 of one of those books, Michael Porter’s ‘On Competition’. This is, by the way, a hefty hardback (lovely to use). I’ve been re-reading parts of it in preparation for a new seminar: ‘the Three Hour MBA’. The same model appears in the delightfully neat ‘Strategy Pocketbook’ by Neil Russell-Jones. 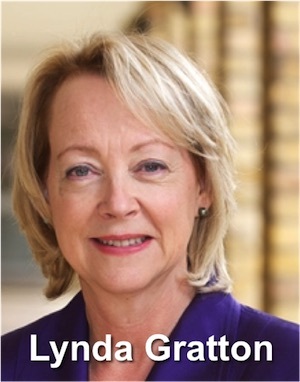 In it, Jones describes Porter as ‘one of the most influential strategic thinkers and writers’ and his classic book ‘Competitive Strategy’ is required reading on just about every MBA course. 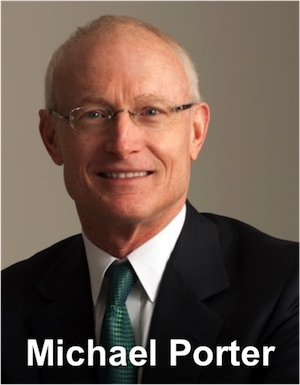 Not surprisingly, Michael Porter starts his book (which collects a dozen or so of his best articles) with the model that bears his name: Porter’s Five Forces. Porter analyses the basis of the power behind each of these five forces, and the barriers to entry of new players or substitute products. 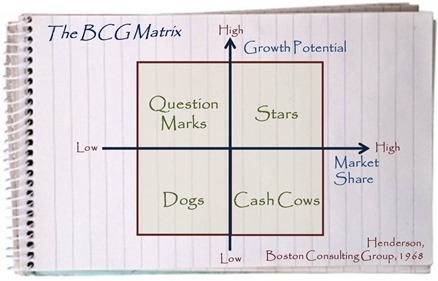 The model forms a basis for developing a strategy that positions your company and influences the forces around it. Porter suggests three generic business strategies to position your company to take advantage of your competitive environment. Perhaps Porter’s model is showing its age. In the 1980s, the world seemed a simpler place. Now, we understand far better, how inter-connected things are. Suppliers are dealing directly with customers and business are making ever-more complex alliances. How does access to capital (the last couple of years worth of headline news) affect competitive forces, and what about other resources, like people and energy? And what are the affects the forces of social responsibility and regulation? Porter’s Five Forces is an entry level strategy tool. It is a valuable insight into the workings of a competitive market and a great starting place. But do consider the lessons of Richard Rumelt, who argues that a good strategy starts from a robust understanding of the situation, with which this model can help, but needs much more in addition. Some Management Pocketbooks you might like. Neil Russell-Jones’ Strategy Pocketbook is stuffed full of handy tips and strategy planning tools, including Porter’s Five Forces and a ‘competitive intensity’ tool that is based on it. It also has lots of other valuable tools and models.